Beautifully sleek describes the Indigo Chest of Drawers perfectly, the stunning, smooth curved lines of this range are it's signature. The classic dark, grainy finish of the American walnut veneer has a defined, contemporary style of it's own, the deep, curved drawer fronts displaying this to it's full effect, then complimented by the subtle decorative brass handles. 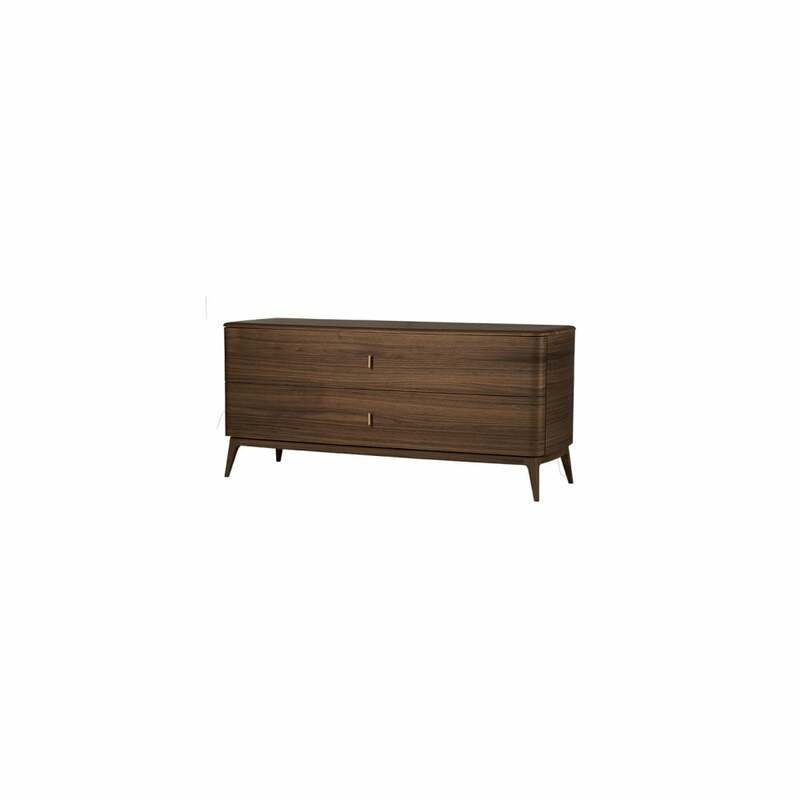 The design is completed with solid American walnut legs, crafted in a smooth tapered finish, the subtle curved edges are pleasing to the eye both as a design feature and in the way they compliment this beautiful, natural material.